On a sweltering summer day about 300 assorted architects, architecture and urban design students immersed themselves in the air-conditioned comfort of the RIBA’s auditorium on Portland Street. It wasn’t just the A/C that was refreshing. The content of the event was fascinating and varied, a breath of fresh air in the rigour with which it examined the different ways architects can contribute to the evolution of cities – other than taking developers’ top dollar to build glass palaces/vacant investment properties for the world’s overpaid elite. Formulated as part of the RIBA’s International Week programme, it included a heavy-hitting cast list of speakers. In one session alone, we had a United Nations of expertise, with the UK’s David Chipperfield and Amanda Levete, France’s Odile Decq, the USA’s Elizabeth Diller, and China’s Ma Yansong. Diller suggested that architects expand the agency of their discipline by engaging with policy and developing a toolkit for planners that could help to reverse the trends of dreadful economic and social inequality that are being reinforced by our cash-hungry, conscience poor leading cities. ‘We have to take care of overdevelopment – it’s happening too fast, it’s only for the rich. [But] how do you create more equity in a place that’s already made its decisions? We feel so powerless in this system. Decq, however, banished the general tone of fatalism: ‘I am surprised today that we are questioning [whether] architects can take care of cities. When I was a student in the Seventies we were very concerned by the larger scale when we were doing projects. I started out doing urban planning. We studied architecture not as an object but in context. In the Nineties architects became more object oriented.’ She has put her money where her mouth is, by opening a new school of architecture, the Confluence Institute in Lyon, on a radical, multidisciplinary, collaborative model. ‘I opened my school because I wanted an education where architects could think, to think about social questions…to place architecture in a wider context. [I wanted] to give possibilities for students to become problem solvers, thinkers for the world.’ Chipperfield, while defending the improvement in quality of individual buildings over the past 20 years, bemoaned the death of proper planning, with London as a prime example. He pointed to the skyline bristling with cranes, blind servants to the speculative development epidemic whose benefits will never reach the masses, and asked: ‘Is that quantity of investment and developments represented in the planning departments? No. They have less [people] than they ever had. When we need planning most we have got it the least. I think we are in a sort of crisis. Pandora’s box is open. How do we impose some notion of regulation at this stage?’ Diller identified the potential in grassroots activism, and suggested architects could harness their skill in visualising solutions to work with those who most need them. That segued nicely into the next session, where we met three architect activists – a blend we should hope to see more of. Jo Noero is something of a legend in South Africa. Introduced by chair for the session, Suzanne Hall, a professor with London School of Economics Cities department, she studied with him in the Nineties, ‘at the height of apartheid’. [Noero] told me: “I teach in the universities. 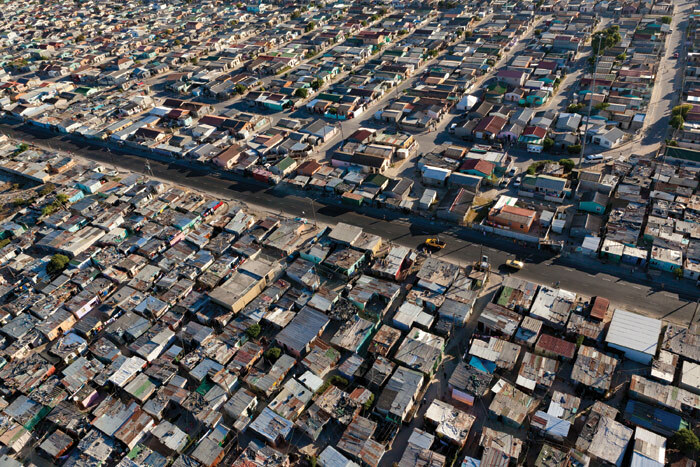 I work in the Townships”. 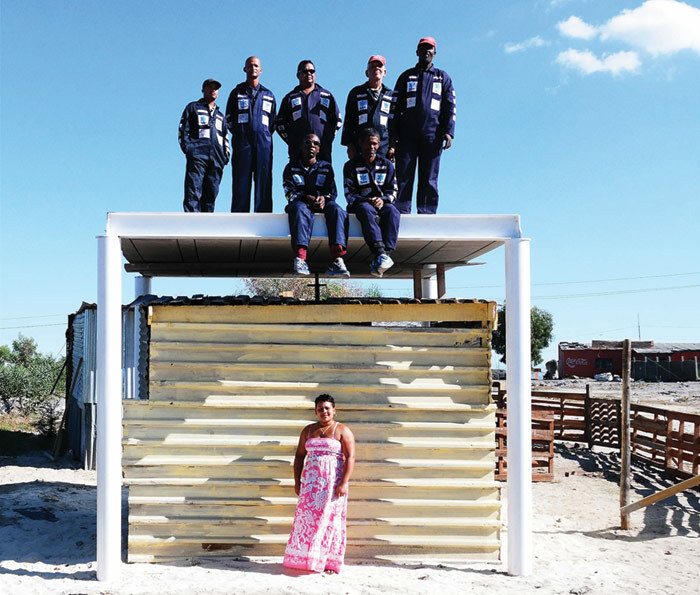 He took us through a range of easy-to-assemble houses he had designed, which respond both to the budgetary and space constraints of South Africa’s shanty towns but also to the way people live and work, offering additional rooms or spaces for letting, for trading and for further entrepreneurialism. Noero declared: ‘Where I live, there is no sense of having lost the sense of purpose as architects.